The big surprise of the festival is the performance with director Gerald Thomas in a reading / spoken word with the dancer Lisa Giobbi as well as shorter performances of scenes that involve the audience and relate to sound. He has previously showed his works in Kanonhallen and in collaboration with Dr Dante, as well as on major opera stages throughout the world. Simple Sounds and Arthur van der Zaag present a new collaboration about a meditative semi-acoustic concert in a unique lighting set up especially for the bathroom in the basement of Dansekapellet. Synth veteran Jesper Ranum performs new works commissioned by the festival. New works from the Stories of Flight, Ferries and Fish project where Marinos Koutsomichalis, Jakob Riis and Jørgen Teller are the main players. The first two composers present new works from their travels in 2018. 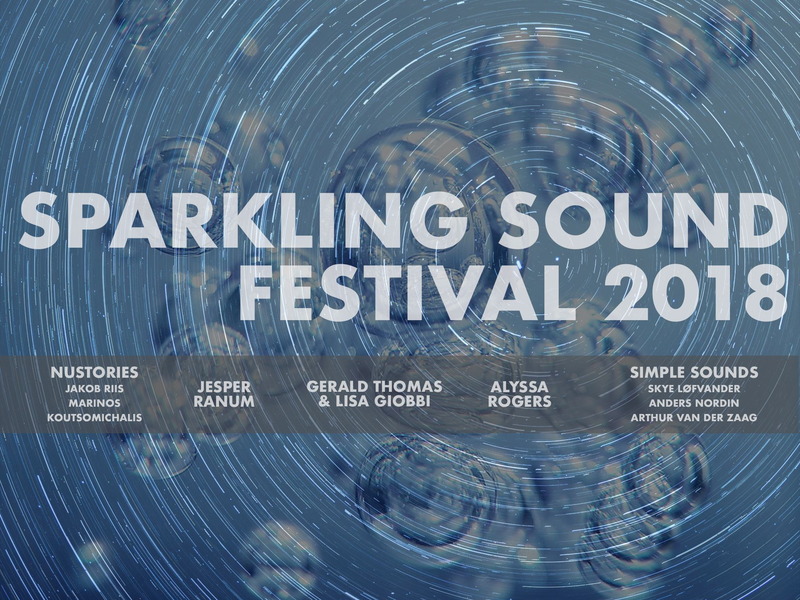 SPARKLING SOUND FESTIVAL was held in 2013-15 with a Greek-Danish focus (in 2013 in Copenhagen NV & K, 2014 in Athens & in Aarhus and 2015 in Aalborg. The focus of the festival has always been electronic music and sound art and from 2016 new thinking directions and choreography were included in the program. In 2016 2 very successful days in the Dome of Vision with new works, Swedish guests and 3 dancers. In 2017 the festival was held in the Concert Church, where the audience received a sublime meeting of Danish and foreign sound artists and performers.